Radical welcome. Faithful worship. Compassionate service. Please join us after all services for fellowship, coffee and refreshment in the Guild Hall. For detailed information about the parish calendar, ministries, and outreach, please click the link below. 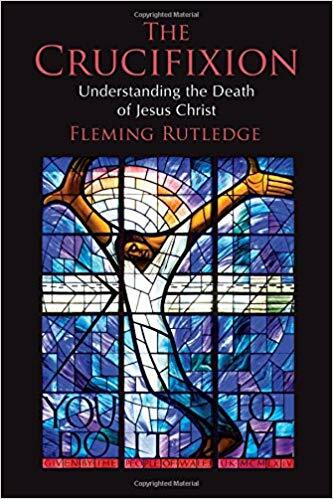 Please join us for a Lenten book study of Fleming Rutledge's The Crucifixion: Understanding the Death of Jesus Christ . The book study meets on every Thursday in Lent, from 7:00 to 8:30 pm. Please see Allen+ or contact the parish office for more details. Take time to restore yourself with silence and scripture in a day of contemplative prayer. We will begin with a brief review of centering prayer and lectio divina, followed by practice of these two methods of contemplative prayer. We will eat lunch together in silence and in the afternoon, experience a contemplative prayer service with Eucharist, led by The Reverend Erika Meyer and Lindsay Boyer. All are welcome. A $20 donation is requested to cover the cost of a box lunch and to help us sponsor future events, but if you are unable to pay for the lunch, please come anyway! 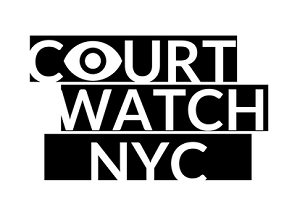 For more information or to RSVP, contact Lindsay or 718-858-4119. Please join us for a quiet, contemplative evening prayer service, honoring those who have passed on in our lives. We will begin with a short memorial service, read aloud the names of the dead interred in our Columbarium and other community members and friends, and then enjoy beautiful piano music during a period of silent prayer and meditation. There will be light refreshments in the Narthex after the service. If you would like to have a name read aloud, please email Christian DeRuiter, in the parish office. This event is open to members and friends of Grace Church as well as the wider community. No RSVP is necessary. If you have recently joined the Grace community — or you’ve been attending Grace for awhile (whether that’s months, years, or decades!) —we invite you to a special Newcomers Gathering on Sunday, March 24, at 6:00 pm . Join us in front of the fire in the North Room for drinks and a light bite. This is a low-key, family friendly event. We’re looking forward to getting to know each other! 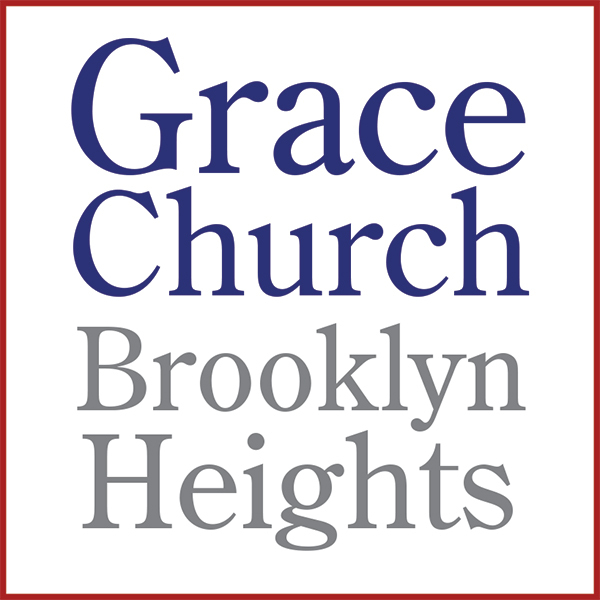 Please RSVP to Parish Administrator, Christian DeRuiter, at (718) 624-1850, x10, or parishoffice@gracebrooklyn.org . A talk with funeral director Amy Cunningham"
Planning for your own death, and getting acquainted with what is traditional and newly possible in funeral service enables you to face your own mortality with courage and focus on what your life has been all about. Sadly, for people who postpone funeral discussions, their survivors are then confronted with huge decisions involving thousands of dollars as they hold Kleenex in their hands. Join journalist and NY licensed funeral director Amy Cunningham for a riveting (even fun!) presentation on trends within the $16 billion funeral business. Topics covered include how to make a cremation more meaningful, the differences between a green burial and a traditional one, the usefulness of a burial shroud, plus a run-down of service costs and options including a funeral in the home, casket in church, urn in church, committal prayers at gravesite or crematory chapel, witnessed cremation. We'll touch upon digital obituaries, "life letters" to loved ones, eulogies, full body donation to medical science, and organ donation. After all that, we'll have time for questions. In the end, you’ll get a glimmer of what funerals customs and products from the past should be preserved, and what can be jettisoned—and you'll leave with some planning resources for yourself or for someone you love. Please RSVP here . Amy Cunningham is a licensed funeral director and owner of the Brooklyn firm Fitting Tribute Funeral Services . She specializes in simple burials within the NYC- Metropolitan area and upstate, home funerals, and cremation services at Green-Wood Cemetery's crematory chapels in Brooklyn. Amy was profiled by the New York Times , and was named one of nine top funeral innovators by FuneralOne, a leading voice for change in the funeral industry. She majored in English at the University of Virginia and holds a mortuary degree from the American Academy McAllister Institute. Kate Hill and if interested and plan to attend, here is the link to register. 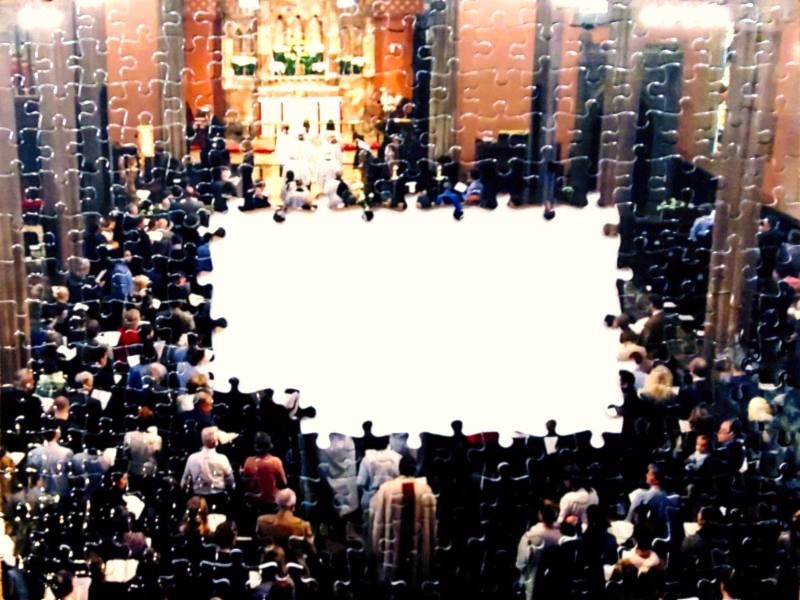 Who are we as a church community? What are we called to do? This is an exciting time of transition and growth at Grace, and we need your help to deepen our understanding of the core values that underpin Grace’s mission and our vision for the future. Between now and April, members of the vestry will be inviting parishioners to engage in conversation about Grace’s core values and mission. Please be receptive if you are called or approached at coffee hour to chat for a bit. You may also contact Amy Rowland directly if you are interested in participating in this dialogue. In addition, the vestry will be facilitating a focus group about core values during a North Room Chat at 10:15 am on Sunday, April 7 - please save the date and join us. We encourage everyone to participate in this important work, and will continue to update you about future opportunities for engagement. Coming in Summer 2019: Church Camp! Questions? Contact Brianna McCarty or Rev. Erika . 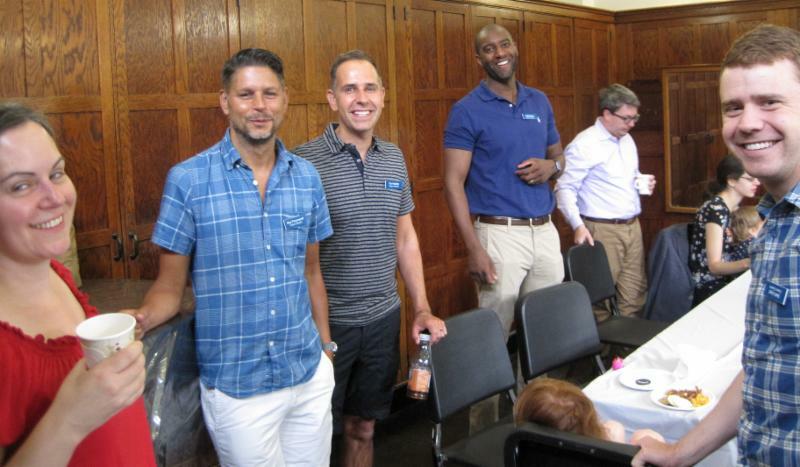 As you know, coffee hour is a time for fellowship and conversation among church members. To share a cup of coffee, pastry and have small chats,what a great way to spend time after Sunday service. Therefore, we are looking for volunteers to host the Coffee Hour after the 11am service. It can be very simple or as elaborate (but not expensive) as you like, infusing fruits, carrots, celery with hummus dips or pastry, homemade cookies or brownies. Prepare your favorite goodies to share. You can also make a monetary donation and the Church can do the shopping for you. We hope you will consider this special ministry and volunteer a small amount of time to host. If you are interested in volunteering one Sunday, please contact Marilyn Grant, Emily Horcher, or Sheila O’Neill . Many thanks to Vivian Toan for hosting last week’s Coffee Hour and to Ansley Samson and Dennis Gephardt for their contributions to this week’s Coffee Hour. On behalf of Emily, Marilyn and Shelia, we appreciate all that you do for Grace! Are you a part of this puzzle? Every puzzle piece represents a pledge. To date we've received 209 pledges for $657,212.00. Are you in this picture? Please make your pledge and help complete the full picture of Grace! Pledges can be made online or by filling out and returning a pew card. Come for spiritual refreshment in the season of Lent, beginning 12:30 pm in the sanctuary. Please see this flyer for a detailed listing of recitalists. Who are our high school or college bound students at Grace? Any alumni attending Grace? Anyone moving away or individuals moving to the neighborhood and attending Grace? Having an exhibition (graphic art, sculptures or photography)? Where will it be? Published a book lately? Any book signings? Vacation rentals? This publication could help us get to know each other better and engage in dialogue. Hope you will consider this format. If interested please contact Charlotte Thorp . As is a parish church tradition, no more than seven Candidates are Baptized as a group, usually during an 11 am service of Holy Eucharist with Baptisms. Please contact Christian DeRuiter, Parish Administrator, for more information and to obtain an application. Parish Prayer Concerns: Wendy, Sybil, Jacob, Eric & Frances, Sandra, and Bill.